Poetry Friday is hosted by hosted by Lisa at Steps and Staircases. Today’s poem is in response to Trump’s action on Wednesday – recognizing Jerusalem as the capital of Israel. So much for peace in the Middle East, so much for the Palestinians and their Palestine, so much for justice and the hope of freedom. Jone is hosting the Poetry Friday Round-Up today at Check It Out. The social studies curriculum I cover for my sixth graders runs covers the years between the American Revolution through the Civil War: the nation is founded, it expands, and it almost self destructs. We trace the idea of “We hold these truths to be self-evident, that all men are created equal, that they are endowed by their Creator with certain unalienable Rights, that among these are Life, Liberty and the pursuit of Happiness” all the through the events of the years we study, trying to sift through who was permitted “Life, Liberty and the pursuit of Happiness”, and at who was not. I think it is imperative for my students to understand that racial inequality was baked into our earliest laws, and that we need to acknowledge this if we are ever to move towards being a country that truly lives the lofty words of our Declaration of Independence. some of them did this honored work. LUCILLE CLIFTON: Well, let me tell you what happened with that poem. I went to Walnut Grove Plantation in South Carolina in 1989 and I was the only person of color on the tour. It’s wonderful 2,000 acres, but on the tour there was no mention of slaves. And they have the the original furniture. They had all the stuff and they talked about the difficulty of the work, a family, a small family, no mention of slavery…So I asked, “Why didn’t you mention slaves?” The first answer was, “Maybe the guide didn’t want to embarrass you.” “Well,” I said, “I’m not a slave. I don’t know why he would think I’d be that embarrassed.” Then I asked again, and the answer of, “Maybe they didn’t have any.” Well, they had two thousand acres in South Carolina in the early part of the nineteenth century. Be serious! You see, we cannot ignore history. History doesn’t go away. The past isn’t back there, the past is here, too. I have been thinking a lot about kindness and our collective sense of humanity this week, as President Obama’s days in office dwindle and we enter another dimension entirely: one where bullying, misogyny, racism, and selfish gain are not only permitted by the man who will sit in the White House, but celebrated, too. If Wednesday’s press conference is any indication, we will be seeing this behavior every day and it may well begin to be the “new normal”. I worry about what this will do to us as a nation, but I worry more about its effect on our children; we may teach them not to behave and speak in disrespectful, intimidating ways, but they will see their President doing so every day, and getting away with it. How to teach kindness in the face of that? In my small world, which is my classroom, I think I need to speak less about kindness and endeavor to show more of it. Our kids are watching closely these days, more than ever. I think they see the disconnect between what we say they should do (anti-bullying posters and assemblies) and how we behave towards them and each other, how we tolerate the bullying by the powerful and make excuses for that. I need to cultivate my patience, I need to look for the causes underlying acting out, I need to be willing to see things from their point of view even when it gets in the way of what I’m trying to accomplish as a teacher. If my students don’t see me practicing every day kindness, if they don’t feel my essential sympathy for them even when they aren’t at their best, it doesn’t matter what else I say to them – the road will only be wide/the rain will never stop falling. I can’t do anything about the behavior of the man who will soon be in the White House, but I can be vigilant about the way I behave in my house… and my classroom, too (which is, after all, my home away from home. Penny Parker Klostermann has the Poetry Friday Roundup today! It’s back to school season, and every where I go back to school shopping is taking place. For once, I am glad to be an empty nester, because not only do I detest shopping in general, but I these particular kind of shopping excursions fell into a whole other category of loathing. Once the kids got older, with definite ideas about everything from shoes to types of pens to where we should shop, back to school shopping became all the more exhausting and excruciating. This poem, featured on The Writer’s Almanac the other day, touched a nerve and brought those back to school shopping expeditions back to mind. I see many “grand annoyers” out there in the stores these days…and I am, for once, glad to have move beyond this stage. I’m paying for past trespasses now. Digilit Sunday is hosted by Margaret Simon @ Reflections on the Teche. Today, Margaret asks us to reflect on the word “curves”. 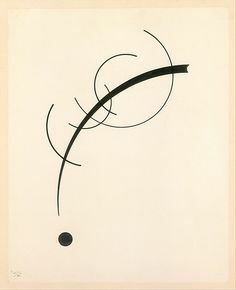 I have always loved the way this represented thought (to me, that is), and the way thoughts curve here and there in random ways at first, and then reach some sort of decisive point. This led me to think about the way our year long poetry study has followed curves of its own: we began by examining the various craft moves in a poet’s tool box, then moved on to investigating poetry as a means of expressing personal thoughts, feelings, imaginings and perspectives. Finally, in the waning days of the school year, we seem to be moving decisively into the realm of the larger world: poetry as a call for social justice. A few weeks ago, a student wanted us to discuss Macklemore’s “White Privilege II”. And so we did. Our classroom crackled with important ideas and many perspectives; there was some agreement, and some disagreement, but our conversation (like Kandinsky’s curves), led to a decisive point: race relations cannot be ignored, and it is clear that equal justice under the law is something we are still working towards in our nation. At the end of our classes, my kids arrived at some decisive points in our conversations: we must not ignore the injustices we see, we must act more out of love than hate, we can make a difference. We curve towards truth and the cause of social justice.